The Rams are in the Super Bowl. You can’t imagine how many times I imagined that being the case over my nine years with the franchise. That was my dream. To see them there now, it’s a truly great feeling. I honestly didn’t think I would be so happy for the guys, seeing that I’m several years removed from the team. I didn’t realize how much I cared until they actually pulled off the win in New Orleans. After that win, I was overwhelmed with joy. 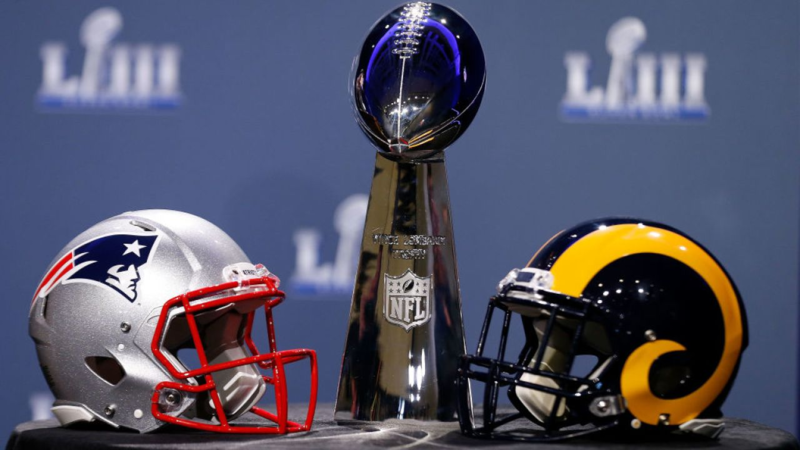 I didn’t do picks for the playoffs this year, like I have in the past, so you’ll have to take my word for it that these were the two teams I saw meeting in the Super Bowl when the postseason began. I just always felt that these two teams were destined to meet again in the Super Bowl, going all the way back to the last time they did so, back in 2002. I felt that 2001-02 Rams team were the better team in that game. But that’s when Coach Belichick started his run, showing how great a coach he is. Now you have Sean McVay coming in as the younger coach, in his first Super Bowl and I truly believe he’s going to carry the mantle and kind of take the torch as the next great coach in the NFL. So it’s only fitting they come and clash in a head-to-head matchup. So some things are destined, and I believe this matchup is one of those things. It’s going to be a battle. When the Rams have the ball, it’s going to be imperative that they’re a balanced offense. I don’t think they can become one-dimensional either way. If the Patriots take away the running game and make Jared Goff beat them with his arm, that’s a losing game for the Rams. If New England decides they’re going to take away the receivers on the outside, and make the Rams beat them by running down the field, I don’t like that recipe for Los Angeles either. Then you’re talking about time of possession and turnovers, and you’re in a tight ball game that puts Tom Brady in one-possession striking range. If it comes down to that, the advantage goes to 12 in the two-minute offense. He’s done it over and over again. The experience edge goes to the New England side. You saw it in the AFC Championship Game. They have this commitment to excellence that stands out in those moments. They’re obviously well coached and Tom knows where he wants to go with the ball. He doesn’t panic. The moment never gets too big for him. That’s what really separates a champion, people who are able to perform at a high level all the time, even in the highest pressure situations. And Tom Brady is one of the greatest ever to do it. 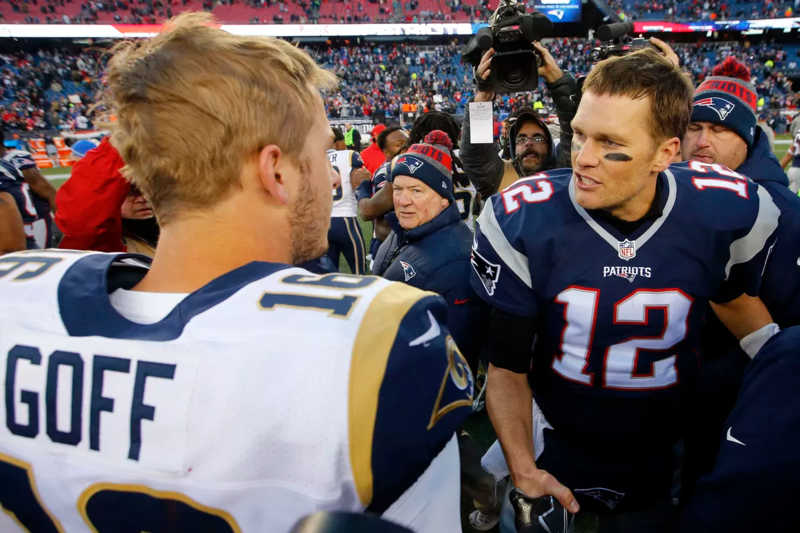 But I don’t think this particular New England team has had a chance to play these Rams when everyone is healthy, and I can see the Rams defense smothering Brady and preventing New England from getting another ring. 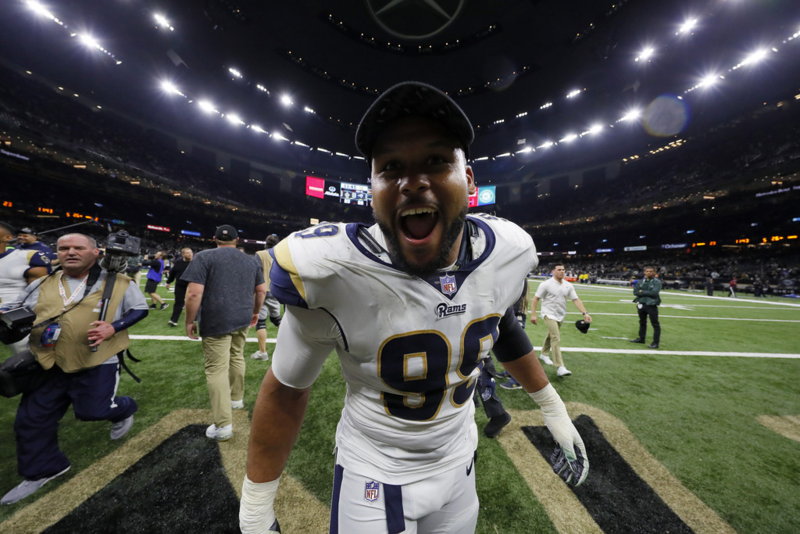 Ultimately, Aaron Donald has to show us why he’s not only the defensive player of the year but should be in the discussion for NFL MVP. He’s going to be double-teamed and maybe even triple-teamed in this game, maybe even chipped from the running back in the backfield. But I think he’s still going to find a way. His hand speed and his natural strength is going to prove to be too much for the Patriots offensive line. If he’s able to disrupt Brady and keep him from being able to climb the pocket and find his second and third reads down the field, it’s going to be a very long day for the New England offense. That’s why I’m rolling with the Rams to edge it out and kick off a new era of NFL football.